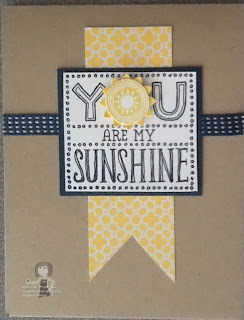 This is a card my demo friend, Keri, shared at our last demo get together. 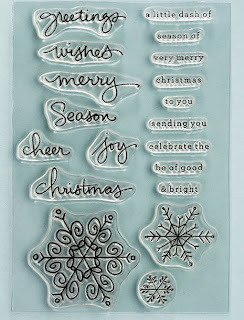 Very fitting today, as the sun is shining and it is snowing big flakes and I am inside with great friends stamping. Our hostess is doing all the cooking and serving us and cleaning up after us. Being spoiled and loving it! This is a card My demo. friend, Nancy, and I made. We used lots of circle punches. The Giggle Greetings stamp set is so fun! I am at "The Gathering Place" in White Lake with dear friends for a long weekend. Life is good! My demo friend, Caroline, made for our last Demo Diva night. I love this color combination. All of the coordinating Stampin' Up! 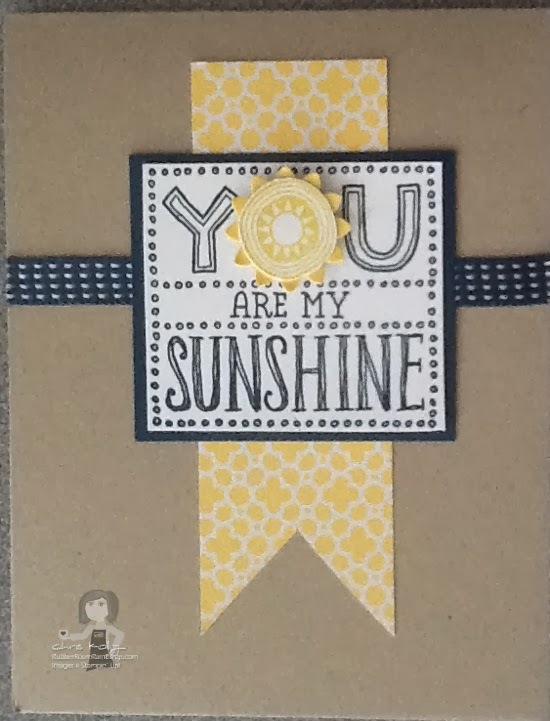 Products make this a super quick and easy card to make. 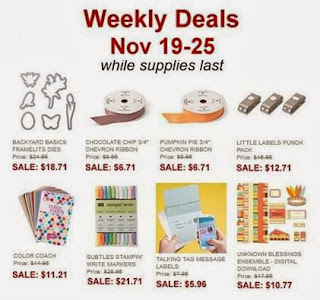 SAVE 30% ON THESE ITEMS WEDNESDAY, NOVEMBER 20TH ONLY! These are some awesome deals on some of my favorite products. And to make the deal even more awesome, when you order from my website and use the Hostess Code PFKGG3YH, you will be entered into a drawing to win hostess benefits when sales reach a minimum of $150.00 Not sure how to use the hostess code? You can find DIRECTIONS HERE! ORDER YOUR HOLIDAY SALE ITEMS HERE! 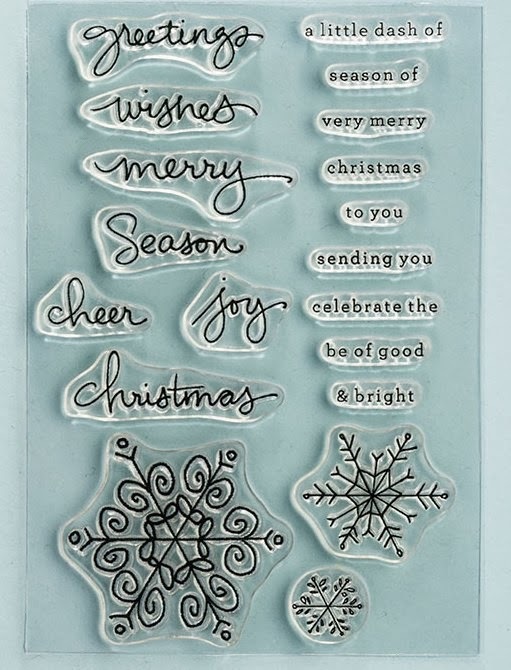 ENDLESS WISHES PHOTOPOLYMER STAMP SET! It is with a heavy heart I write this post. I have come to love this photopolymer stamp set. But, unfortunately, it is no longer available for purchase. 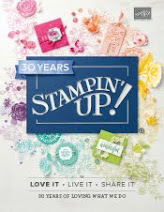 It was on backorder; then a shipment arrived; the shipment quickly disappeared; Stampin' Up! will not be ordering it again. I am very glad I scooped it up early! The Stampin' Up! Holiday Sale starts Wednesday, November 20th and ends December 2nd. AND Doorbusters will be available on Wednesday only. This sales is huge! You can save up to 50% off tons of products. Use the link below to view the Holiday Sale items, and make your list. You can begin ordering first thing on Wednesday. You can order sale items along with weekly deal items and regular-priced items too. 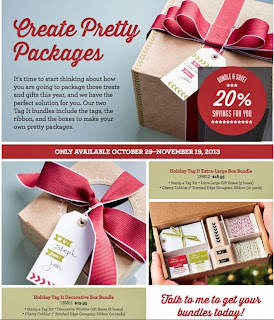 This is an awesome opportunity to pick up gifts for each and every paper crafter on your list. With all those savings, you can afford to treat yourself to a little something too. Want a little more to lighten up the holiday budget? Well, I have just the thing. Place your order online, use hostess code PFKGG3YH, and you will be entered into a drawing to win hostess benefits when sales reach a minimum of $150.00 Not sure how to use the hostess code? You can find DIRECTOINS HERE! 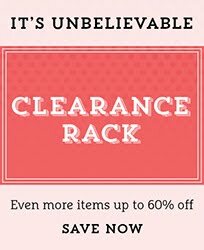 SEE ALL THE GREAT SALE ITEMS HERE! ORDER YOUR WEEKLY SPECIAL ITEMS HERE! 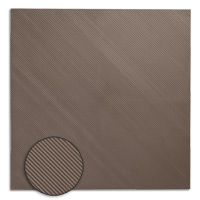 ENVELOPE PUNCH BOARD FOR CHOCOLATE BAR! Lots of you have emailed me and requested the pattern for this extra-large candy bar box. 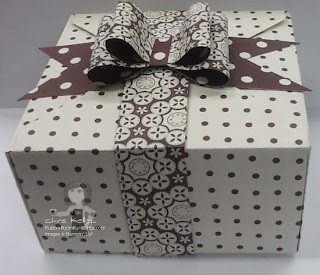 ﻿I made this box using the Envelope Punch Board, and it was super easy, since another very kind and talented Stampin' Up! Demonstrator, Janet Wakeland, prepared an easy-to-follow video with step-by-step directions and measurements for me. I am taking the easy way on this one, and am not going to re-invent the wheel. I enjoyed Janet's video so much, I am just going to say: SEE JANET'S VIDEO HERE! I have some real chocolate lovers on my holiday gift list this year, so I decided a really big candy bar was the answer. I, of course, had to dress it all up fancy so that I did not eat it before the holidays arrived. For this candy bar, because it is so much bigger than a regular candy bar, I wrapped it in a box (as opposed to the envelope I made for the regular-sized candy bar). I made the box with my Envelope Punch Board. I am having so much fun with that awesome tool! 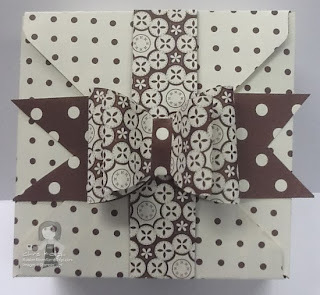 I used the Season of Style Designer Series Paper and made my bow with the oval punches. I added the "holiday fudge" poem I found with the help of Google. "That Michelle" came to play today! This is the frame we made. 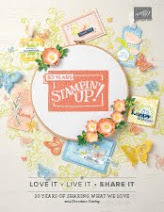 We used so many great Stampin' Up! products and had tremendous fun! ENVELOPE PUNCH BOARD FOR YOUR CHOCOLATE BAR! This is a little project my demonstrator friend, Nancy, shared with us at our last demonstrator get together. 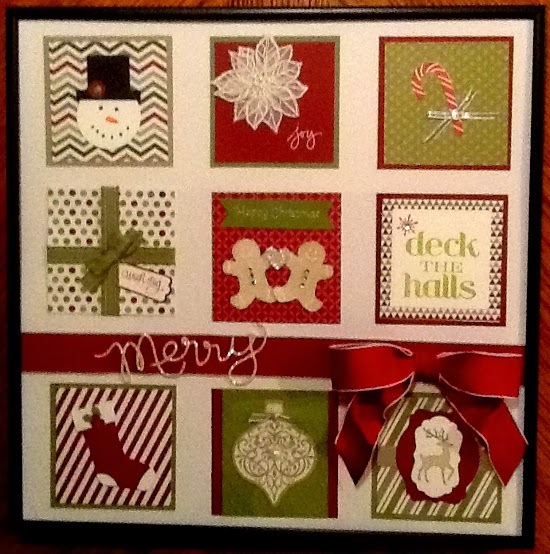 She used the Season of Style Designer Series Paper from the Holiday Mini Catalog and the Envelope Punch Board. Then she added a belly band and put a bow made from oval punches on the belly band. I love chocolate, and try not to eat it since my heart surgery AND I am happy to say that when the candy gets all dressed up, I am way less likely to eat it! 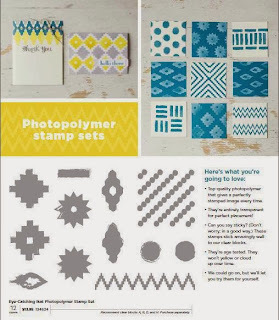 EYE-CATCHING IKAT PHOTOPOLYMER STAMP SET AVAILABLE NOVEMBER 15, 2013! 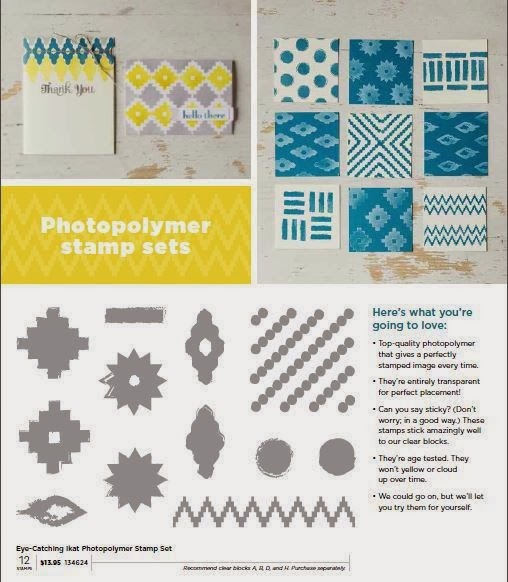 The all-new Eye-Catching Ikat Photopolymer stamp set is available Friday! This special ends November 19th. Don't miss out! ORDER YOUR HOLIDAY TAG BUNDLE HERE! FESTIVE FLURRY ORNAMENT KIT AVAILABLE WHILE SUPPLIES LAST! Add some festive flare to your holiday decorating with the new Festive Flurry Ornament Kit! You can put these beautiful little ornaments on the top of presents, or embellish cards with them, or create a wintery garland with them, or simply use them to trim the tree. I bet you may even come up with a few different ideas on how to use them. They are only available "While Supplies Last", so don't delay~~order today! Watch this video and see just how quick and easy it is to create these wonderful ornaments. ORDER YOUR FESTIVE FLURRY ORNAMENT KIT HERE! BEAUTIFUL BOX FROM THE ENVELOPE PUNCH BOARD! This is a beautiful box Denise and I made with the Envelope Punch Board. We used the Oval Framelits to make that awesome bow on the top! Here is the side of the box. I am loving the Envelope Punch Board for all sorts of things besides just envelopes! 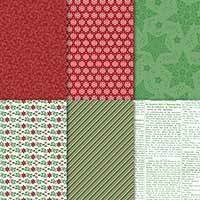 The Rubber Room Product Party on December 16th features the Envelope Punch Board, and I will share lots of patterns and ideas with my customers. 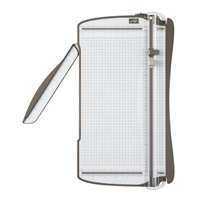 You must bring your Envelope Punch Board with you, and I will show you how to use it. Check out all the class details HERE! We will party from 10 a.m. to noon and again from 7:00 to 9:00 p.m. Space is limited, so RSVP soon. 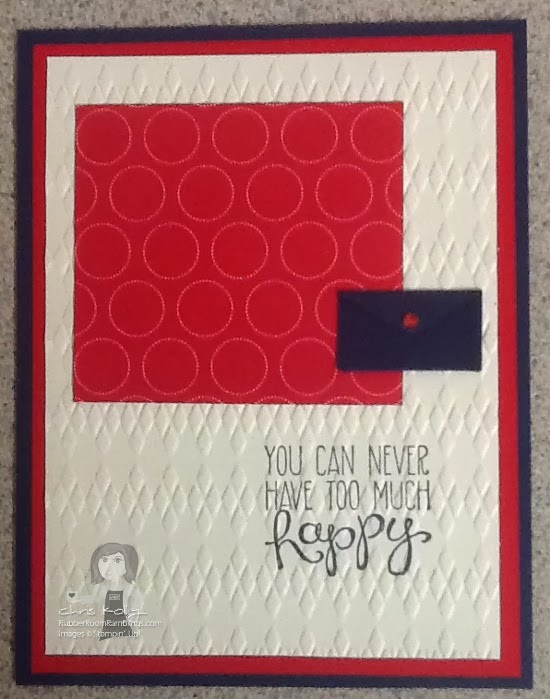 Don't have your Envelope Punch Board Yet? ORDER IT HERE! I am on vacation, but hope to put some "quickie" posts up for you each day. 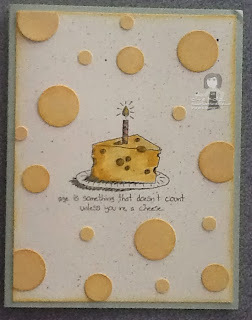 I got some good play time with my friend, Denise, and the Envelope Punch Board, so I will share a few those items with you. 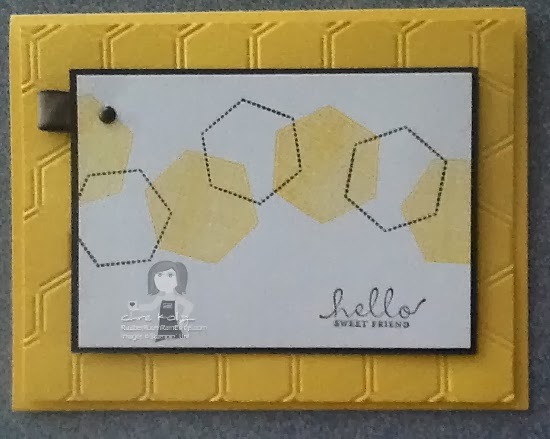 CUTE POCKET MADE WITH ENVELOPE PUNCH BOARD! 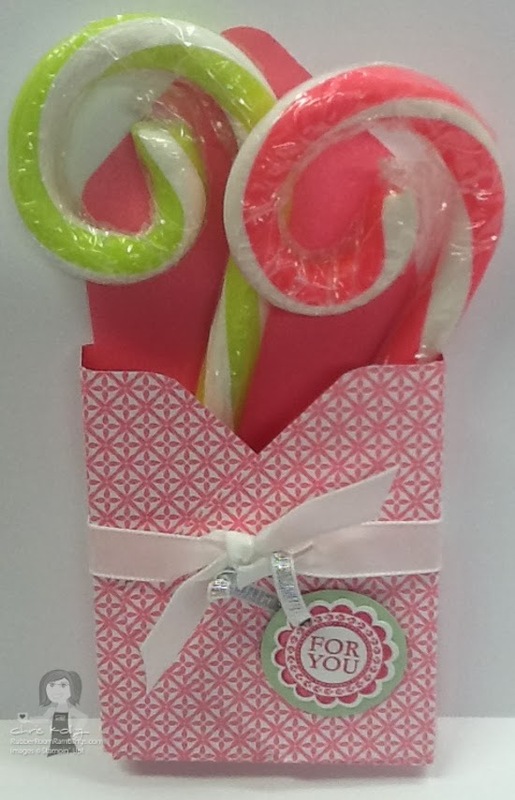 Isn't this the cutest little holder for candy canes? 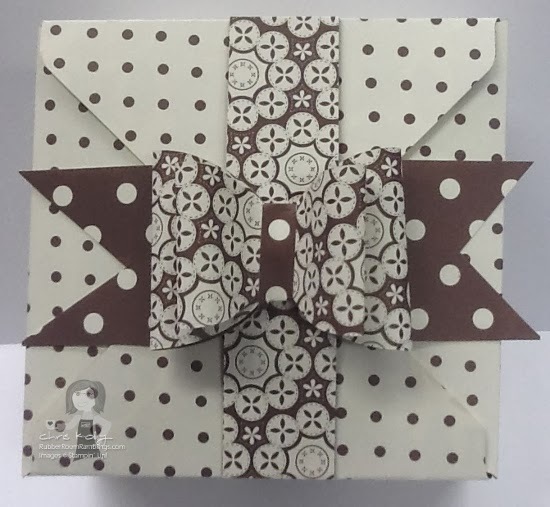 It is made with the Envelope Punch Board. 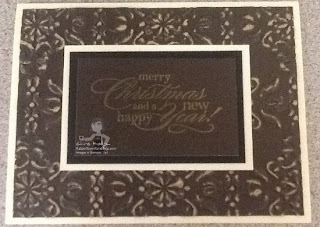 My friend Denise was over, and we were playing with the Envelope Punch Board making cute little goodies. I love the way this one turned out! The cute little candy canes were purchased at Walgreens. This is one of the cards we will be making at the November Holiday Stamp-A-Stack in the Rubber Room. I love the elegant look the new Core'dinations paper gives this card. The November Holiday Stamp-A-Stack is Monday, November 18th from 10:00 a.m. to noon and again from 7:00 p.m. to 9:00 p.m. Cost of the SAS is $20. I will provide all the materials for you to make 8 cards (two each of four different designs), including enevlopes, along with water and coffee. All you need to do is RSVP before November 10th and bring your adhesive with you to the SAS. The first-ever Rubber Room Product Party is happening November 26th, 2013 from 7:00-9:00 p.m. in the Rubber Room. The Product Party is only $5, and this month we will be making all four of these cards! 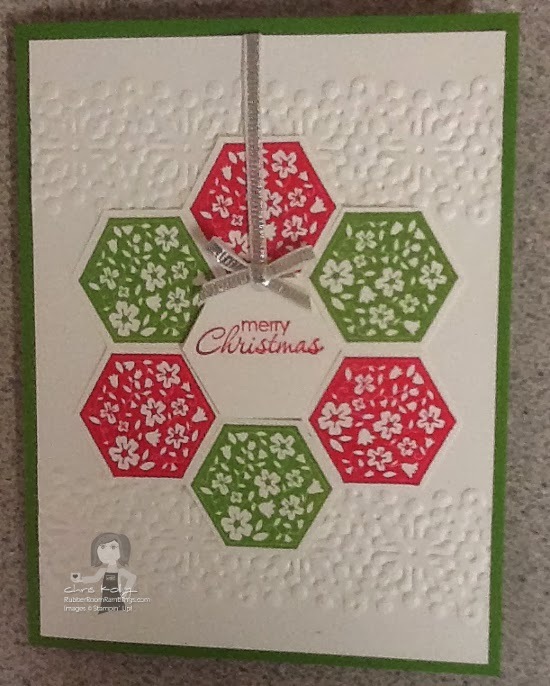 For this card we use the Hexagon Punch to create the "tag look". The Love and Sympathy Stamp Set is where the image and sentiment are from. We also used the Very Vintage Designer Buttons, and the Modern Label Punch to set the button on. From the Holiday Mini Catalog, we used the Pretty Print Textured Embossing Folder for the Big Shot and some of the 1 1/4" Burlap Ribbon for the button bow. This card uses the Six-Sided Sampler Stamp Set and the Hexagon Punch, as well as the 1/8" Silver Ribbon (available in the Holiday Mini Catalog) and the Delicate Designs Textured Embossing Folder for the Big Shot. 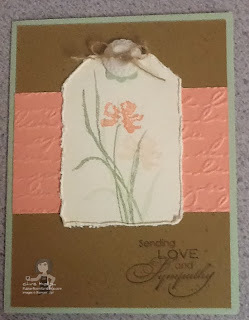 The sentiment is from the Petite Pairs Stamp Set. 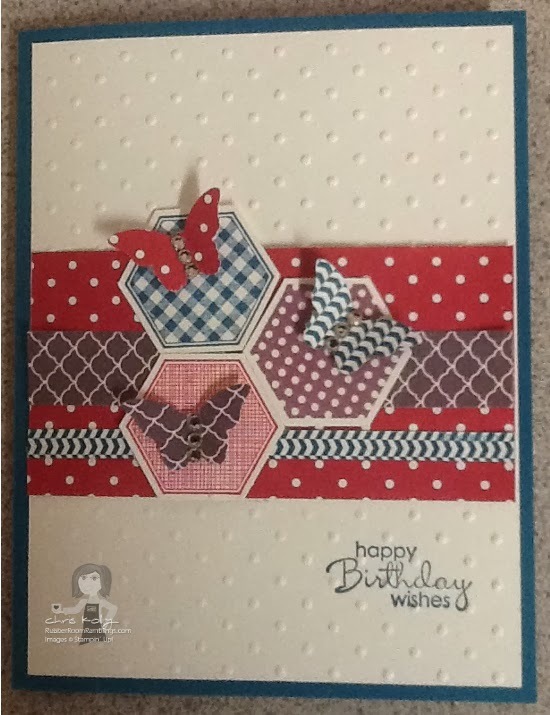 For this lovely card we again used the Hexagon Punch and the Six-Sided Sampler Stamp Set, along with the Perfect Polka Dots Textured Embossing Folder for the Big Shot and the Bitty Butterfly Punch. You can't see it too well in the photo, but there are Rhinestone Jewels for the butterfly bodies. The sentiment is from the Petite Pairs Stamp Set. For this card we used the Hexagon Punch to make the little "purse". The "clasp" on the purse is a Rhinestone Jewel colored with a red Sharpie marker. The sentiment is from the Yippe-Skippee! Stamp Set. I want to thank Mary Fish, Fiona Whitten, Julie Kettlewell and Michele Reynolds for their creative inspiration in making these cards. Stampin' Up! Demonstrators are wonderful people, and they freely share ideas, tips and inspiration on a "Demonstrator Only" website, which I love to visit! NOVEMBER 7th AT MIDNIGHT IS THE LAST DAY TO RSVP FOR THE PRODUCT PARTY! This early RSVP date ensures there will be enough time to order and receive the product before the party. A Rubber Room Product Party is a party where you bring along the featured product, and I will share with you different things to do with the product. This month the product you will need to bring along is the Six-Sided Sampler Bundle (the Stamp Set and the coordinating punch). There will be lots and lots of samples on display to inspire you (and you may want to bring your camera along); and there will be 3-4 hands-on projects. 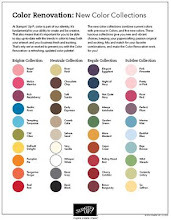 I will provide all of the materials you need to make the hands-on projects, as well as coffee and water. You just need to RSVP and bring the featured product with you to the party. Don't have the Six-Sided Sampler Bundle? You can EMAIL ME to place your order. Or you can ORDER YOUR BUNDLE HERE! ENDLESS WISHES WITH FAUX PATTINA! BEST OF SNOW NOW AVAILABLE!